Saturday’s Cal Day will feature activities for all types of Bears, old and new. 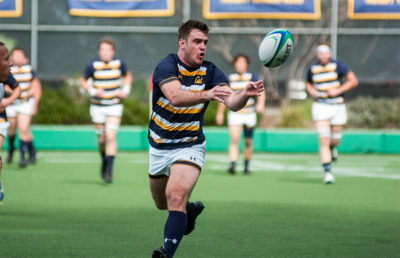 One that should not be missed is Cal rugby’s 1 p.m. quarterfinal matchup against Navy at Witter Rugby Field, with a final four berth on the line. On a day when Berkeley will be packed with former, current and prospective students, the Bears will attempt to defend Strawberry Canyon potentially for the last time this season. Cal (20-2), the No. 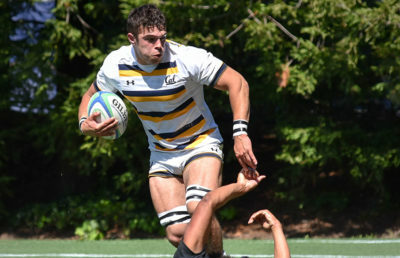 3 seed in the collegiate rugby postseason, defeated No. 14 Grand Canyon in the round of 16 rather easily, 85-14. No. 11-seeded Navy (10-2), however, is coming to the West Coast with its confidence at an elite level after recording an upset over No. 6-seeded Indiana with a dominant shutout, 47-0. Saturday should be a wonder for sore eyes as the Bears’ high-flying offense will attempt to run through the Midshipmen’s tough defensive front. On paper, Cal has the edge with its 58.9 points and 12.1 points allowed per game compared to Navy’s 39.3 and 13.7 in respective stat lines. In rugby, however, statistics are only a mere reflection of the hustle the players put out on the field. Clark used its rotation wisely last week, trying to spread out minutes deep into his roster. This weekend, however, it might be tougher to do the same, as Navy typically exhibits a very experienced team. Led by senior All-American captain and No. 8 Conor McNerny, the Midshipmen harbor a very tough group of upperclassmen on call. 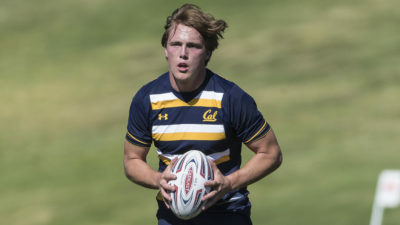 The Bears’ preparation during the season should pay off against Navy, as Cal competed against teams with older and physically mature players throughout this spring. Earlier this season, the Bears outran San Francisco’s Olympic Club before upsetting British Columbia in dramatic fashion. Cal’s faithful would not be wrong to expect a starting 15 similar to the one against British Columbia or against Army, which features a seasoned squad of upperclassmen players similar to that of Navy. Home-field advantage will be an important edge for the Bears, as they are undefeated this season at home. Saturday will be the 14th time the Bears and the Midshipmen face each other in the postseason since the inauguration of National Collegiate Championships in 1980. The last time these two programs met was in the 2014-15 postseason semifinal, and Cal held the upper hand with a 57-15 victory to advance to the final. The Bears will be aiming to continue their winning tradition against the Midshipmen as both sides will try to hand each other their third loss of the season. Don’t miss it.